Harvard seniors Eana X. Meng '19 and Kailash Sundaram '19 plan to meet with Harvard University Health Services to discuss making Narcan easily acessible on campus. 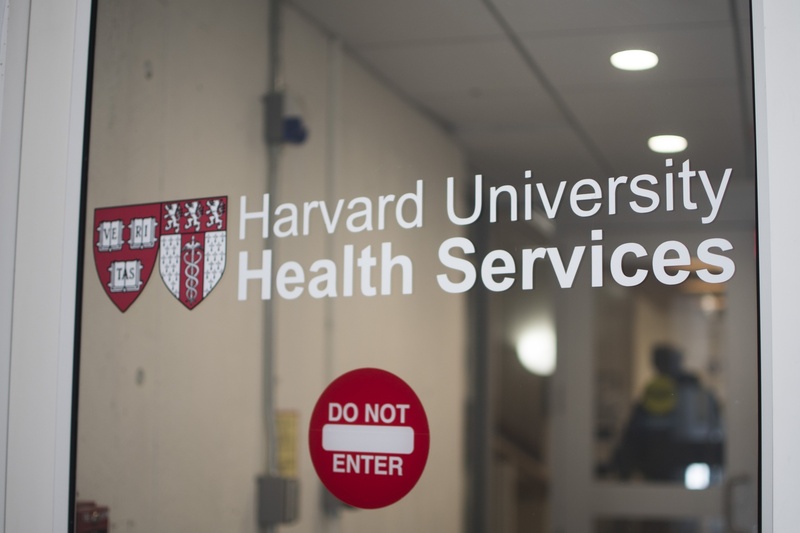 Two Harvard seniors — inspired after taking a course on the opioid epidemic — are lobbying the University to distribute Narcan, a narcotic blocking nasal spray, in automatic external defibrillator cabinets across campus. The two students leading the effort, Eana X. Meng ’19 and Kailash Sundaram ’19, said they hope to raise awareness on campus of the problems of overdosing. This fall, the duo took History of Science Professor Allan M. Brandt’s class History of Science 249: “The Opioid Epidemic in Historical Perspective,” which traced the emergence of the opioid epidemic in the U.S. and considered it in relation to similar epidemics throughout history. 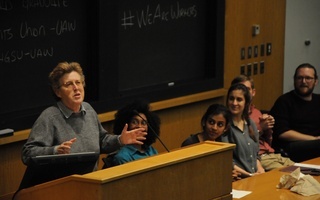 “We spent a good deal of time talking about how there is a perception sometimes on campus that the opioid epidemic doesn’t really affect Harvard, and I think the students in the course really wanted to find approaches to make people more aware, to understand more clearly, the problems of drug use,” Brandt said in an interview. Meng said she decided to take the class this fall because of her interest in the crisis as well as her focus on pain management and alternative medicine. Sundaram, a social studies concentrator, said he enrolled in the course to support his thesis research on the opioid epidemic. Through taking the class, Meng and Sundaram said they were motivated to put the material they were learning in class into action on campus, with the goal of making Harvard a safer environment. Narcan — a brand of Naxloxone — can be administered intravenously or via nasal spray. Treating someone who has overdosed on opioids immediately with Narcan can reverse the effects of an overdose temporarily, allowing time to get the person to a hospital before symptoms return. 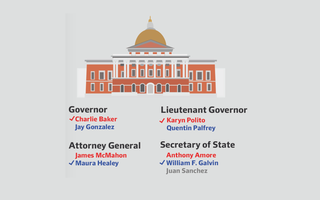 After the students proposed making Naloxone as easily accessible as AED units in dorms, Adams House Faculty Deans John G. “Sean” Palfrey ’67 and Judith S. “Judy” Palfrey ’67 eagerly supported the students’ efforts by encouraging them and helping them contact resources, according to Meng and Sundaram. In an interview, Sean Palfrey said that he and Judith Palfrey, both pediatricians, initiated the effort to make AEDs widespread on campus 15 years ago after a student passed away due to the lack of an accessible AED. Palfrey said he sees the dangers of opioid abuse as equally significant. Despite faculty and administrator support, Meng and Sundaram said there are a few more steps they still have to take. Meng and Sundaram plan to meet with wellness teams and Harvard University Health Services by the end of the month. “The sooner Naloxone is available on campus, the better,” Sundaram said. University President Lawrence S. Bacow has made efforts to address the opioid crisis a highlight of his first few months in office. In September, Bacow announced a new partnership with the University of Michigan to plan a summit addressing the opioid crisis. Meng and Sundaram said they hope to see change happening on campus by the time of the summit, but said that Naloxone should not be the permanent solution. “This is really just the beginning,” Meng said. What is this class really about? Flyby's got your back with this investigation. ​Student-nominated speakers from each of Harvard’s 12 graduate schools presented TED-talk style mini-lectures at the 6th annual “Lectures that Last,” in front of a packed 830-person Memorial Church audience Saturday evening. Two pending cases before the NLRB could result in a decision to classify graduate students at private universities as employees.